Below are the head coaches of the NBA G League’s 27 teams for the 2018-19 season. Brian Adams joined the Clippers organization in 2014 after working as an assistant coach at Harvard and Marist College. Previous to his NCAA coaching run, Adams spent five years on the Boston Celtics’ video staff, winning a title with the club in 2008. For the past four seasons, Adams has served as the Agua Caliente Clippers’ video scouting director along with his role as a coaching associate. Adams will replace Casey Hill as head coach of the A.C. Clippers after Hill was promoted to the Los Angeles Clippers to serve as an assistant under Doc Rivers. Ahearn joins the Spurs after serving one season as the head coach of his high school alma mater, De Smet Jesuit in St. Louis, Missouri. Prior to that he spent one season as the head coach at Clayton High School in St. Louis. Ahearn played professionally for eight seasons, including a three-game stint with the San Antonio Spurs during the 2008-09 season. Over the course of three seasons he appeared in a total of 22 NBA games between San Antonio, Miami and Utah. Ahearn also spent time in the NBA G League where he was a two-time First Team selection (2009 and 2012) and was named the 2008 Rookie of the Year. In 2015 he won an NBA G League Championship with the Santa Cruz Warriors. Ahearn also played professionally in Spain, Italy, China, Ukraine and Puerto Rico. The St. Louis native played collegiately at Missouri State University from 2003–07. He is the NCAA’s all-time leader in free throw percentage, connecting on 94.6 percent (435-460) of his shots from the foul line. Ahearn also holds the single-season record, shooting 97.5 percent (117-120) from the free throw line during the 2003-04 season as a freshman. He was named the Missouri Valley Conference Freshman of the Year in 2004 and earned All-MVC First Team honors his junior and senior seasons. Reinking, 42, joined the Charge as an assistant under Head Coach Steve Hetzel for the 2013-14 season with a focus on player development and opposition scouting. After Hetzel’s NBA Call-Up, he was retained under new Head Coach Jordi Fernandez as an assistant the next two seasons while adding game-planning and game personnel to his responsibilities. With defensive principles the focus in his three years on the Charge staff, Canton’s scoring defense ranked 1st in 2013-14 (101.4ppg), 1st in 2014-15 (95.8ppg), and 5th last season (103.3ppg). A native of Galion, OH, Reinking graduated from Kent State University in 1996 after a four-year playing career with the Golden Flashes. He currently ranks in the program’s career top ten in scoring (1.456, 8th), games started (100, 8th), field goals made (491, 9th), free-throw percentage (.792, 9th), and three-point field goals made (184, 6th). As a captain his senior season, Reinking was Second Team All-MAC after playing in all 27 games and averaging 18.7 points on .445 shooting with 3.7 rebounds, 3.1 assists, and 0.9 steals per game. Jarell Christian will serve as the first ever head coach of the Capital City Go-Go when he coaches the club during their 2018-2019 inaugural season. Christian has NBA G League coaching experience, spending 2016-2018 as an assistant with the Oklahoma City Blue. This past season, Christian served as an assistant coach with the NBA’s Oklahoma City Thunder. Prior to his NBA and NBA G League experience, Christian served as an assistant coach at Emory and Henry College from 2010-2011, at Tusculum University from 2011-2012 and at Randolph-Macon College from 2012-2014. Connor Johnson was hired as the new head coach of the Delaware Blue Coats on June 18 after spending four seasons with the Philadelphia 76ers coaching staff, most recently as the team’s Director of Player Development and Coaching Administration from 2015-2017. Prior to joining the 76ers organization, Johnson worked at Villanova, serving as a graduate assistant with the men’s basketball program under Jay Wright. Johnson played his college basketball at Amherst College in Massachusetts. Noel Gillespie was hired as the head coach of the Erie BayHawks on July 19 after serving in the same capacity with the Greensboro Swarm during their first two seasons. Before working with the Swarm, Gillespie worked within the Suns organization for 10 seasons, spending the last four as an assistant coach. After his tenure with the Suns, Gillespie served as an assistant coach with the Denver Nuggets from 2013-2016. Gillespie entered the league during the 2001-2002 season, working as a video assistant for the Indiana Pacers. The BayHawks’ new head man graduated from the University of Wisconsin-Whitewater. Gansey made his return to Fort Wayne after a one year stint as an Associate Head Coach with the Canton Charge during the 2014-15 season, where he also served in a support role, assisting in practices and workouts, for the Cleveland Cavaliers. Gansey’s career with the Mad Ants began in 2009-10 when he served as one of the team’s basketball interns. After two seasons as the first assistant coach, Gansey took over the interim head coaching role for a portion of the Mad Ants 2011-12 season before returning to his assistant coaching duties that following year. Gansey served a vital role in the development of Mad Ants players such Ron Howard, Darnell Lazare, Rob Kurz and the 2013 D-League Rookie of the Year Tony Mitchell. He also aided the team in earning not only their first playoff berth in franchise history, but later their first NBA D-League Championship in 2014. During his time with Fort Wayne, Gansey has coached under Duane Ticknor and Conner Henry, who now hold assistant coaching roles with the Memphis Grizzlies and Orlando Magic respectively. Prior to his coaching experiences in the NBA Development League, Gansey helped as an assistant coach/support staff for the USA U19 National Basketball Team where he worked with players such as Stephen Curry, DeAndre Jordan and Tyreke Evans. Though strong in his coaching experiences, Gansey’s college playing career began at Cleveland State, where he played for head coach Mike Garland, who now serves under Michigan State’s Tom Izzo. He then concluded his collegiate basketball career at Ashland University. Krueger joined the Drive as an assistant coach, eventually taking over mid-season for Rob Werdann. His 18 seasons of coaching experience began with two seasons as an assistant coach at Maine Central Institute and one season as a graduate assistant at Virginia Commonwealth University. In July 2006, Krueger participated in the NBA’s “Basketball Without Borders” program in Vilnius, Lithuania. The Lehigh grad worked with the Nets from 2003-07, starting out as an assistant video coordinator before joining the bench as an assistant coach. He also has experience with Rutgers and Lehigh. Wolf joins the Greensboro Swarm after serving as an assistant coach with UNC-Wilmington during the 2017-2018 season. Prior to Wolf’s stint with the Seahawks, he was an assistant coach with the Milwaukee Bucks from 2008-2013 and the Brooklyn Nets from 2014-2017. Wolf comes to the Swarm with plenty of NBA G League experience. Greensboro’s new head man served as the head coach of the Idaho Stampede, now known as the Salt Lake City Stars, from 2004-2006 and the Colorado 14ers, now known as the Texas Legends, from 2006-2008. With the 14ers, Wolf qualified for the postseason in all three years of his tenure, reaching the NBA G League Finals in his inaugural season with the team and winning the title in 2009. Wolf played in the NBA from 1987-1993 with the Los Angeles Clippers, Denver Nuggets, Boston Celtics and Portland Trailblazers. After a year playing with Leon in Spain, Wolf returned to the U.S., playing six seasons from 1994-1999 with the Charlotte Hornets, Orlando Magic, and Milwaukee Bucks. Wolf played his college basketball at UNC before being taken No. 13 overall in the 1987 NBA Draft. Heath has spent the last two seasons (2015-17) as an assistant coach at Boston College. He served as head coach at Kent State University, the University of Arkansas and the University of South Florida, compiling a record of 209-206 (.504) from 2001-14. Heath guided all three schools to the NCAA Tournament, including a trip to the NCAA Elite Eight in 2002 with Kent State. Heath began his coaching career as an assistant coach at Hillsdale College (Mich.) in 1988. After the 1988-89 campaign, he moved on to Albion College (Mich.), where he served as an assistant coach and the junior varsity head coach for two seasons (1989-91). Heath then worked at Wayne State University (Mich.) for three seasons, including associate head coach in 1994 when the Tartars set a school-record with 25 victories. Wayne State also reached the NCAA Division II Final Four in 1993. After two seasons as an assistant coach at Bowling Green State University (1994-96), Heath joined Tom Izzo’s staff as an assistant coach at Michigan State University for five seasons (1996-2001). During his time in East Lansing, the Spartans made three consecutive trips to the NCAA Final Four (1999-2001), captured the 2000 NCAA National Championship and had a combined record of 132-37 (.781). Weaver was hired as the Long Island Nets’ newest head coach on July 17, succeeding Ronald Nored. Weaver comes to Long Island by way of Brooklyn, where he served as a special assistant to head coach Kenny Atkinson for the past two seasons. Before his stint with the Brooklyn Nets, Weaver worked within the Philadelphia 76ers organization for three seasons from 2013-2015 as a special assistant to head coach Brett Brown after being promoted from basketball operations assistant and video coordinator. Along with his NBA experience, Weaver has served as an assistant coach on the Australian national men’s basketball team since 2014. Weaver was on the bench for Australia’s 2016 Summer Olympics run in Rio de Janeiro. Coby Karl began his head coaching career in 2016-17 as he guided the then-Los Angeles D-Fenders to their first Pacific Division title and the second best record in team history at 34-16. Karl guided the team to a 24-6 start, tying the 2009-10 Iowa Energy for the best 30-game start to a season in league history. Karl, the son of NBA veteran coach George Karl, began his coaching career by spending the 2015-16 season as an assistant coach with the Westchester Knicks. While in the Empire State, he helped the Knicks earn their first playoff berth in franchise history as Westchester improved from 10-40 in 2014-15 to 28-22 during the 2015-16 campaign. Along with his domestic experience, Karl also knows the international game, having played professionally in Spain, Italy, and Germany. A native of Great Falls, Montana, Karl attended Homestead High School in Mequon, Wisconsin, before graduating from Boise State University with a B.A. in Communications. The 6-foot-5 shooting guard led the Broncos in points (17.2) and assists (4.0) as a junior, and he averaged 14.8 points and 4.0 assists during his senior season en route to First Team All-WAC honors in 2007. Undrafted in 2007, Karl was invited to participate in training camp with the Lakers, making the Opening Day 15-man roster as a free agent. Karl would go on to play professionally for eight seasons before retiring in 2015. Bailey, who has been working with the Boston Celtics coaching staff for six years, became the fifth head coach in franchise history. Bailey replaces Scott Morrison, who spent the last three seasons in Maine. Morrison has joined the Boston Celtics coaching staff as an assistant. A Chicago native, Bailey has worked for the Celtics for the last six years. Working initially as a video intern under Doc Rivers, Bailey became a highly respected, defensive-minded member of Brad Stevens’ staff, working as head video coordinator for the Celtics as well as a scout over the past two seasons. Prior to joining the Celtics, Brandon began his coaching career at DePaul University as a graduate assistant. This will be Bailey’s first head coaching position. Brad Jones joins the Memphis Hustle after spending the past two seasons with the Iowa Wolves as a scout. Before his time with the Wolves, Jones served as an assistant coach with the Utah Jazz from 2012-2016. Jones comes to the Hustle with plenty of NBA G League experience and success. Jones served as the Utah Flash’s head coach, now known as the Delaware Blue Coats, from 2007-2010. He then served as the Austin Toros head coach, now known as the Austin Spurs, from 2010-2012, winning a championship with the team in 2012. In his two seasons in Austin, Jones had 12 NBA Call-Ups and coached Justin Dentmon to a league MVP. In five combined NBA G League seasons as a head coach, Jones has a 148-116 (.556) record . Burchard was a Northern Arizona Suns assistant coach during the team’s inaugural season in 2016-17. He was promoted to associate head coach entering their 2017-18 campaign shortly before getting called up to the Phoenix Suns, where he spent last season as a player development assistant. This will be Burchard’s first year as a head coach in the NBA G League as he becomes the third head coach in Northern Arizona Suns history (Ellis, Toppert). Burchard, 32, has spent the last eight years with the Phoenix Suns, Phoenix Mercury and Northern Arizona Suns. He worked 2013-16 as the Phoenix Suns’ video coordinator after spending 2010-13 in the basketball communications department for the Mercury and Suns. Before joining the Suns organization, Burchard was an assistant coach for two years at Taylor University in Upland, Indiana, where he also went to school and played basketball. A Columbia, Missouri, native, Burchard earned his degree in sports management and public relations from Taylor in 2008. Mark Daigneault (DAYG-nalt) is in his third season as head coach of the Oklahoma City Blue. In his first season at the helm of the Thunder’s NBA D-League team, Daigneault led the Blue to a 28-22 record and an appearance in the NBADL Western Conference Semifinals. Under his watch, the Blue had three players called up to NBA rosters (Josh Huestis, Dwight Buycks and Reggie Williams) and two Thunder players assigned a combined 10 times (Grant Jerrett and Mitch McGary). Daigneault came to Oklahoma City after spending his previous four years working under Billy Donovan at the University of Florida, where he most recently held the position of Assistant to the Head Coach. Throughout his four years at Florida, the Gators totaled a record of 120-30 (.800), won three SEC titles and advanced to the Elite Eight each year. In his final season with UF (2013-14), the Gators became the first SEC team to go 18-0 in conference play and went on to win the SEC Championship and advance to the Final Four. Prior to his time at Florida, Daigneault spent three seasons as an assistant coach at Holy Cross. During Daigneault’s tenure, the Crusaders finished as runner-up of the Patriot League Championship in 2008-09. A 2007 graduate of the University of Connecticut, Daigneault served as a student manager with the Huskies under Jim Calhoun from 2003-07. While at UCONN, the Huskies won the 2004 NCAA Championship and claimed three Big East titles, posting a combined record of 103-32 (.763).A native of Leominster, Mass., Daigneault holds a master’s degree in sports management from the University of Florida. Jama Mahlalela was hired as the third-ever head coach of Raptors 905 after serving as an assistant coach with the NBA’s Toronto Raptors from 2013-2018. Before his time with the Toronto Raptors, Mahlalela was an assistant coach with the University of Toronto from 2004-2008. Mahlalela played college basketball at the University of British Columbia from 1999-2004. He joined the Raptors organization in 2006 as a member of the team’s community development staff while working wit the University of Toronto. Mahlalela was born in Mbabane, Swaziland and grew up in the Greater Toronto Area. Mahlalela is an active participant in the NBA’s Basketball Without Borders program and has worked at multiple Masai Ujiri’s Giants of Africa camps. Joseph Blair was named head coach of the Rio Grande Valley Vipers on October 10, 2018. Blair had served as an assistant coach on the Valley Vipers since the 2015-2016 season and will become the seventh head coach in RGV’s franchise history. Before joining the Valley Vipers’ organization, Blair worked at the University of Arizona, serving as an undergraduate assistant during the 2013-2014 season and a graduate assistant during the 2014-2015 season. Blair was drafted 35th overall by the Seattle Supersonics in the 1996 NBA Draft and played professional basketball from 1996-2009, mostly overseas, including a Euroleague MVP season with Olkerspor of the Turkish League during the 2003 season. Blair also spent two stints with the Harlem Globetrotters, first in 1997-1998 and again in 2001. Tyrone Ellis’ NBA G League experience dates back to 2012, when he began his career as an assistant coach with the Tulsa 66ers, now known as the Oklahoma City Blue. 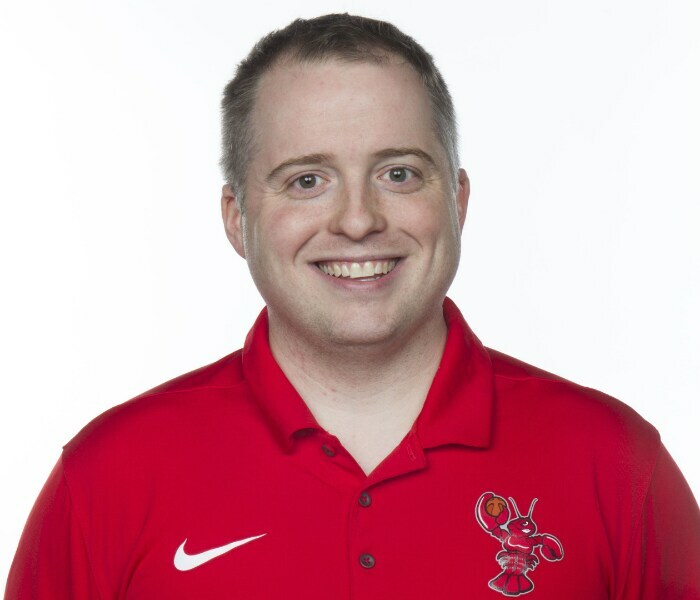 Ellis spent the 2013-2014 seasons as an assistant coach with the Reno Bighorns, now known as the Stockton Kings, the 2014-2015 season as an assistant coach with the Grand Rapids Drive and the 2015-2016 season with the Bakersfield Jam, now known as the Northern Arizona Suns. Ellis played college basketball at Southern Nazarene University from 1997-2001 before playing for the Huntsville Flight, now known as the Canton Charge, in the NBA G League’s inaugural season in 2001-2002. Schiller is the second coach for the Stars, the 11th in the organization’s history, and the fifth internationally-born head coach in G League history. Schiller joins the Stars after previously serving as an assistant coach of MHP Riesen Ludwigsburg in the German Bundesliga for the last two years. Prior to that, he served as the assistant coach for the Bundesliga’s Artland Dragons from 2010-2015. Schiller has also been an assistant coach for the German National Team since 2015, where he worked with Jazz assistant coach Alex Jensen. He started his coaching career in the youth leagues in Germany and Austria. A native of Vienna, Austria, Schiller graduated from the German Sports University at Cologne with a degree in Sports Science. Miles, 34, most recently served as an assistant coach at Florida Gulf Coast University, helping the Eagles to a 26-8 record, the Atlantic Sun Conference Tournament Championship and a berth in the 2017 NCAA Tournament. Miles previously served on Bill Self’s staff at the University of Kansas during the 2015-16 season as assistant director of student-athlete development. Miles enjoyed an illustrious playing career at the University of Kansas, where he led the Jayhawks to a 110-28 record and back-to-back NCAA Tournament Final Four appearances in 2002 and 2003. The 6’1” guard played four seasons under coaches Roy Williams and Bill Self, owning career averages of 8.6 points, 3.3 rebounds and 6.9 assists while setting the University of Kansas and Big 12 record for career assists with 954 (eighth-most in NCAA history). A native of Portland, Oregon, Miles appeared in 19 games with the Golden State Warriors during the 2005-06 season and later appeared with the Fort Worth Flyers and Reno Bighorns of the NBA G League. Miles also spent eight years playing internationally, including a three-year stint in Russia’s VTB United League, where he helped BC Krasmye Krylya win the 2012 and 2013 Russian Cups and was named the 2013 Russian Cup MVP. His previous international stops also include seasons with Panionios BC (2008-09) and Aris BC (2009-10) in the Greek Basket League, Cajasol Sevilla (2007-08) in the Spanish League Caja ACB, and with Élan Béarnais Pau-Lacq-Orthez (2006-07) in the French League LNB Pro A, where he won the French Basketball Cup Championship. Smith formerly served as the head coach for the Rio Grande Valley Vipers, where he led the team to an overall record of 57-43 in two seasons spanning from 2013-15. Before coaching the Vipers, Smith spent two seasons as the head coach of the Keystone College Giants in Le Plume, Pennsylvania. There, he led the Giants to a 39-16 record in two seasons as while reaching the first two CSAC Championship games in school history. Prior to joining Keystone College, Smith had previously compiled nine years of collegiate coaching experience at Ithica College, Allegheny College, Canton, and St. Lawrence University dating back to the 2002-03 season. Before graduating in 2002, Smith was a four-year starter at Bethany College and ranks near the top of numerous school record lists. Smith holds the school record for most made three-point field goals (313), second-best three-point percentage (.466), and best free throw percentage (.870). He also ranks 10th on the all-time scoring list with 1,255 career points, and ranks eighth in number of games played (105). In his final season, Smith propelled the Bison to a 21-win season and the school’s first NCAA playoff appearance in nearly 20 years. With a history in the NBA Development League, MacKinnon brings over 30 years of experience at the collegiate and professional levels. MacKinnon most recently coached the Los Angeles D-Fenders and assisted in the development of three Lakers assignees while boasting four NBA Call-Ups in the 2013-14 season. The Legends’ fifth head coach has spent five seasons in the D-League. In his first year, MacKinnon coached the Colorado 14ers to a 34-16 regular season record and ultimately the 2008-09 D-League Championship. MacKinnon then went on to coach the Idaho Stampede and Springfield Armor before landing in Los Angeles. Altogether, MacKinnon has developed 17 players to NBA Call-Ups, a League record for any single head coach. MacKinnon also served in China as the head coach of the CBA’s TianJin. These successes have led to MacKinnon running the D-League’s Elite Mini-Camp and National Tryout for the past seven years. MacKinnon’s career began at the collegiate level at King’s College in Pennsylvania where he played four seasons and got his first coaching opportunity in 1982. He went on to be an assistant at Mercyhurst College (1982-85), followed by George Washington (1985-90), and Niagara (1990-97) before he was named the head coach of the United States Merchant Marine Academy in 1997. MacKinnon led the Mariners to two Skyline Conference Championships, securing consecutive NCAA tournament bids, and earning Skyline Conference Coach of the Year in 1999. He then joined the staff at Notre Dame (1999-2000), followed by the University of North Carolina (2000-03) before becoming the senior assistant at Marshall University (2003-07). Mike Miller joined the Westchester Knicks as the third head coach in franchise history on October 6, 2015, after spending the last two seasons as an assistant coach with the Austin Spurs, the NBA Development League affiliate of the San Antonio Spurs. Austin went 32-18 in the 2014-15 season, clinching the Southwestern Division title. Miller brings over 25 years of coaching experience to Westchester. Prior to joining the Spurs, he served as an assistant to UC Riverside during the 2012-2013 season. From 2005-2012, Miller was the head coach at Eastern Illinois University. Before leading the Panthers, Miller spent five seasons as an assistant coach at Kansas State University (2000-2005). In his first stint as head coach, Miller led the Texas State University Bobcats from 1994-2000. Highlights during his tenure with the Bobcats included capturing the Southland Conference regular season and tournament championship, advancing to the NCAA Tournament in 1997, and winning the League Championship again in 1999. At the conclusion of the 1997 season, Miller was named Southland Conference Coach of the Year. The East Texas State graduate has also served as an assistant coach for Texas State (1991-94), Sam Houston State (1990-91) and Western Illinois (1989-90). Miller graduated from Monmouth High School in Monmouth, Illinois. After graduating, he went on to play basketball at East Texas State, where he was a part of the team that won the 1984 Lone Star Conference championship. He graduated from East Texas State in 1987. Born on August 14, 1964 in Monmouth, Illinois, Mike and his wife Kelly are proud parents of Matt and Joey. In August of 2017, Charlie Henry was hired as the head coach of the Windy City Bulls after serving as an assistant coach with the NBA’s Chicago Bulls from 2015-2017. Henry started his coaching career at Romulus High School in Michigan as an assistant coach during the 2009-2010 season. Henry then served as a graduate manager at the University of Utah from 2010-2011 and as the Indiana Pacers’ video coordinator from 2011-2012. From 2013-2015, Henry worked at Iowa State, serving as the team’s Director of Player Personnel during the 2013-2014 season and an assistant coach on the squad during the 2014-2015 season before leaving for the Chicago Bulls organization. Brady, 34, spent the 2016-17 season as an assistant coach for the Salt Lake City Stars, the NBA G League affiliate of the Utah Jazz. He was previously an assistant coach with the Idaho Stampede (2015-16), where he was retained by the organization to assist with relocating the team to Salt Lake City in 2016. Brady served as an assistant coach for the Los Angeles D-Fenders (2014-15) and an assistant for the Bakersfield Jam (2013-14) and the Iowa Energy (2012-13). Prior to coaching, Brady played professionally for four seasons, including three in the NBA’s minor league system: two seasons with the Utah Flash (2009-11) and a split season between the D-Fenders and Stampede (2011-12). Brady earned his bachelor’s degree in Business Management and Physical Education from Utah Valley University. The Vernal, Utah, native played two collegiate seasons at Utah Valley University after starting his career in junior college (Dawson Community College and Salt Lake Community College). Get extensive video coverage including highlights, interviews and behind-the-scenes access.